Though 77% of the population are ethnic Chinese, Chinatown is the heart of Singapore's Chinese community. Like most of Singapore, Chinatown has not been spared from urban redevelopment. 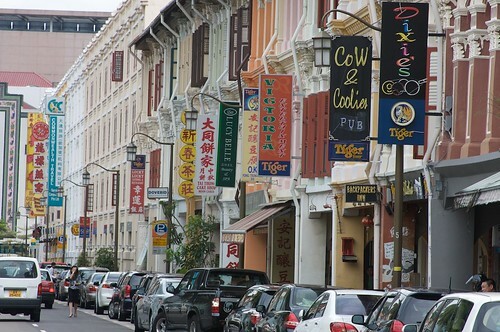 Nevertheless, Chinatown is still of cultural and historical significance, with many old buildings preserved as heritage sites and many Chinese associations or clubs are still located here. More at Guide to Chinatown. For tourists, the visited area of Chinatown is between Pagoda Street and Smith Street. 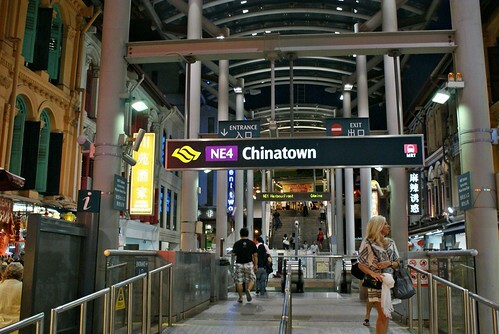 The area is very accessible with an MRT (commuter train) station located right in the heart of Chinatown. 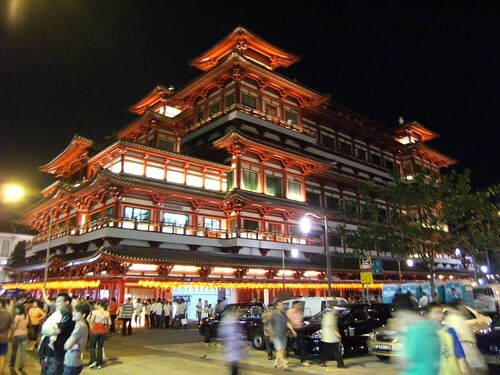 A major landmark in Chinatown is the imposing 4-storey Buddha Tooth Relic Temple. Entrance is free and upon entering the main hall you will notice a huge statue of the Maitreya Buddha. Many of the old shophouse buildings in Chinatown were built in the 19th century. Their architecture are a combination of different elements of Baroque and Victorian designs. The best time to come here is in the evenings when its cooler and activities centre on the streets. 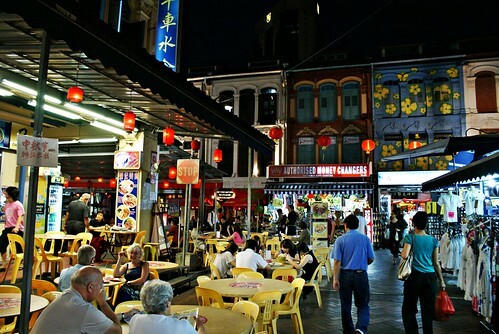 There is plenty of outdoor dining including street foods and a lively night market.